Every year Hvar Croatia events intertwine in the period from June to August reflecting the life and environment of this Mediterranean island. A rich calendar of events will certainly enrich your holidays on the island. All these happenings are closely related to the flora and fauna of the island and old historic traditions. Many of them are transmitted from one generation to another. Thanks to the extremely favorable climate, the island produce high quality wine, brought by Greeks in the 4. century BC and later refined by Romans. Plenty of sun favors the growth of lavender and aromatic plants used for various purposes. Honey production has a centuries-old tradition. Honey and lavender are two typical Hvar souvenirs, celebrated in two traditional festivals. 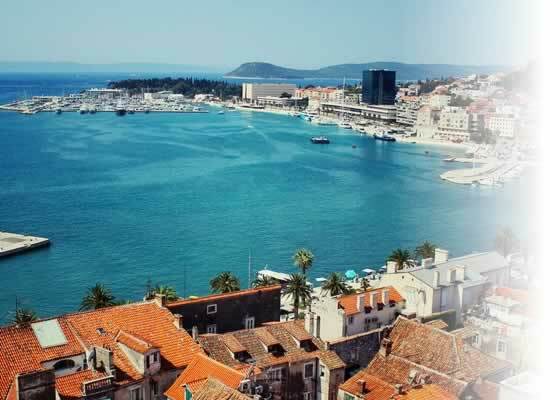 54th Hvar Summer Festival (June) – Concerts and theater plays, Hvar town. 7th lavender festival will take place in Velo Grablje, few miles from Hvar town on the road Hvar to Stari Grad. Association “Pjover” for the protection and revitalization of Velo Grablje decided to promote the event “lavender festival” which will become traditional. The desire of the association is to promote one two-day economic and tourist and cultural event in Velo Grablje, within the framework of modern conditions and economic and tourism needs. Association ‘Pjover’ are looking for volunteers for this festival, which takes place in the Eco-ethno village, Velo Grablje on Hvar island. Their facebook page! They need people FOR THE PREPARATION OF THE FESTIVAL from 22 / 23.06. to 28.06.2015 and during the festival 26,27.06.2015 (Friday and Saturday). They offer a free food and accommodation. You can send your application on e-mail – [email protected] (Att.Laura) or call 00385 (0)91 56 63 723. If you call outside Croatia use number without (0). Calling from Croatia use this number – 091 5663723. Important: Priority is given to past years volunteers! This is one traditional Hvar Croatia events, that has reached its 54th performance. It takes place in Hvar town at old theater, the oldest European theater. The festival offers the whole month numerous concerts and theater plays. You can download their program here! During July the 54th Hvar summer festival will continue with various performances. It’s one of the longest festivals on the island. Record the date, July 14th, when the three-day Ultra Music festival Croatia 2015 from Split Poljud stadium, will move to Croatia’s premier island of Hvar. The leading hotel group Suncani Hvar will be hosting a VIP event on the waterfront at Hotel Amfora in Hvar town on July 14. Buy your tickets here! Thursday, July 23rd to Friday, July 31st 2015. This sweet addition to the summer calendar for Hvar Croatia Events will take place in Stari Grad for the fourth time since 2012. 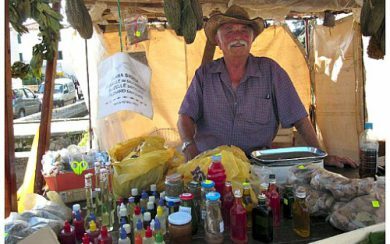 Hvar honey vendor. Image propery of total-hvar.com. 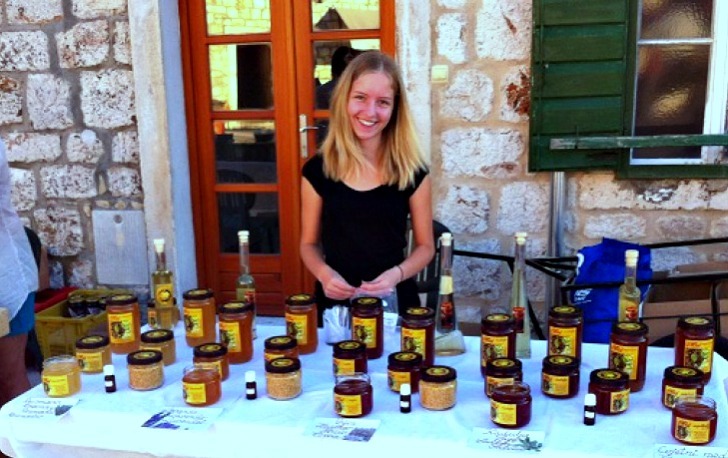 The three-day event, called Days of Hvar Honey will be held in Ploca Square (Trg Ploca) in the old town, and will be organized by the beekeepers and lavender association. It will be a great pity, if you don’t buy a jar of this highly praised, lavender and rosemary honey. August looks like to be dedicated to sport events but I have to remind you that 54th Hvar summer festival is still going on in Hvar Town. 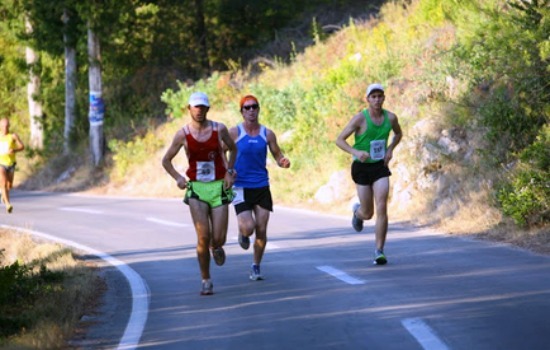 It has no long tradition, but if you like running, you want miss this half Marathon from Hvar to Stari Grad. Not only atmosphere in which this marathon will take place, but also the race motto indicates, it will be a great fun. 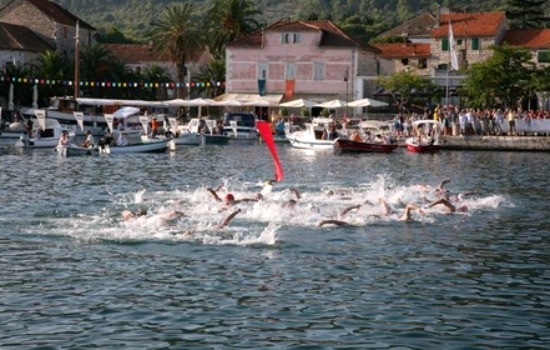 Run for fun, and have fun doing it – because having fun is guaranteed on the island of Hvar. If you would like to run in this marathon be sure to get more info on this website. This is the oldest Hvar Croatia events that has reached its 40th edition. It’s the only competition that has been taking place without interruption, since I was 20 years old. It’s a rather tough competition for well prepared swimmers as the swimming trail is almost 5 nautical miles long. The interesting fact of this swimming marathon is that it has never changed the date. The event takes place always on the last weekend in August, so that this year’s date is August 31st. Here you can find more info! Jelsa on Hvar island is a place where the traditional Wine fair is organized every year during the last weekend in August. It’s the unique occasion to taste the best wines from Hvar as well as a variety of local gastronomic specialties. For more info visit local tourist website! During the wine fair all hotels organize music for dancing, games and shows. There is a discotheque in the center of Jelsa. The town streets and squares serve as a stage for contemporary music concerts and popular ‘klape‘ group singers. If you are a wine lover, this fair is a ‘must see’. Compare deals from multiple websites to find your hotel, hostel, or private apartment for the best price! You can also check for flights and ferries to Croatia, book airport transfers in advance, or find most popular tours and cruises, all thanks to my partners! This flight search form enables you to search and compare 1000+ airlines, travel agents and travel sites to get the cheapest flights and best dates. Check it out! Use the following search to book and purchase ferry tickets to and in Croatia. Find info about times, prices, tickets, routes, ports and availability for all companies operating ferries between Italy and Croatia. If the form above is not loading you can search directly on DirectFerries. Below are my recommended sailing trips in Croatia from trusted companies and tour operators. Feel free to check the offers and links to find additional information and more related cruises! 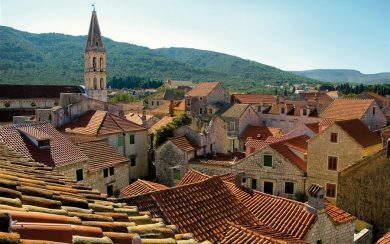 Southern Explorer - explore top places between Split and Dubrovnik! Starting and ending in Split, this cruise will take you to Makarska, Mljet, Dubrovnik, Trstenik, Korcula, Hvar and Brac! 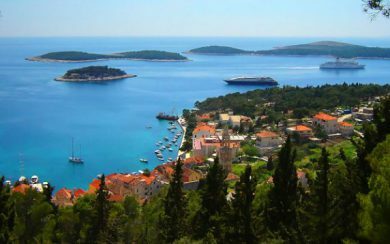 Depart from Dubrovnik on a week long cruise and explore Mljet, Hvar, Korcula, Trstenik, and Sipan. Organized tours are excellent ways to explore my beautiful country, and I highly recommend taking at least one trip during your visit. There are limitless fascinating places to see, and you can easily book a tour or day trip from my trusted partners below. Below are five top rated tours from Split! Join a top-rated walking tour of Split's famous monuments and landmarks with a professional tour guide and learn more about our history and heritage. Visit Komiza village, Blue cave on Bisevo island, Stiniva bay on island Vis, Green cave, Budikovac island, Pakleni islands, and Hvar island and town. Paddle around Split and Marjan Hill, discover and snorkel in secluded beaches and enjoy magnificent views. Take a break from Split enjoy your coastline drive to Krka National Park and see what it's like to swim in pristine nature, with a visit to old town of Sibenik. Swim and snorkel in breathtaking blue lagoon, see small but beautiful Ciovo island, and grab a free lunch in memorable Trogir town. Select any pickup and dropoff - from and to 200+ destinations in Croatia. 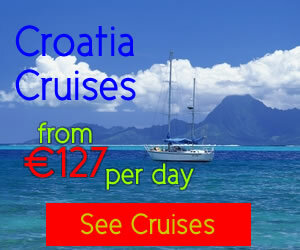 Cruises are fantastic and inexpensive way to discover multiple destinations in Croatia. With 67,000+ reviews and opinions, TripAdvisor is an excellent resource to learn more about my city Split! Don't get stuck without a ride. Book your private transfer in advance! Thanks for choosing Split.gg as your expert guide to Split! We founded this website because we have a passion for traveling, and a common love for Split city. Our Split Travel Guide blog now includes multiple authors providing you with all crucial information for visiting Split, including info about attractions, tours, landmarks, accommodation, and other important facts you should know before your trip! Did you visit Split or other parts of Croatia and want to share your story? Let's publish your (good or bad) experiences on this site! Submit your Croatia travel story here! Photo galleries are also welcome! © 2019 Split Croatia Travel Guide - Split.gg. All rights reserved.